All you could need in one resort! Set in stunning Oxfordshire countryside, Bicester Hotel Golf and Spa provides a memorable experience, perfect for business or leisure. Located just 5 minutes from Bicester Village Outlet Shopping Centre and junction 9 of M40. Under 1 hour to Central London or Birmingham and a short drive to Oxford City Centre. Centrally located, we are perfectly positioned for events, conferences, weddings, golf breaks and spa retreats and your Golf and Health Club membership. 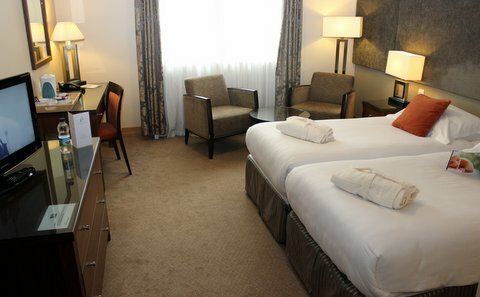 52 spacious bedrooms offering five different styles of accommodation from junior suites to classic rooms. All our rooms have a contemporary décor and have been styled to provide a comfortable and relaxing stay whether for business or leisure. Many rooms have views over the golf course while others overlook the inner courtyard garden. Several of our first floor rooms also offer Juliet balconies. 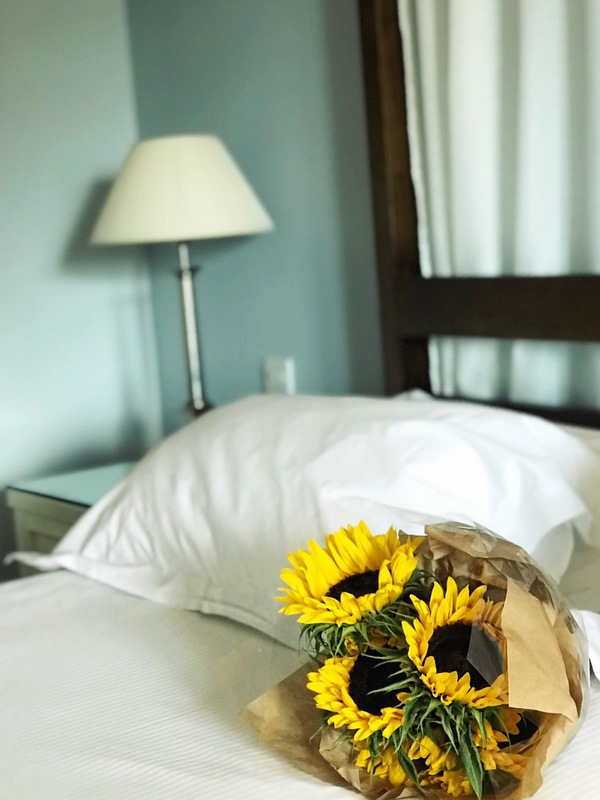 All rooms have a hospitality tray with tea and coffee making facilities and bottled water refreshed daily, freeview TV, air-conditioning, ironing facilities and hairdryers. Guests are able to take advantage of free Wi-Fi which is available throughout the venue. All rooms are provided with robes. Gray’s Restaurant a relaxed yet traditional style of dining, overlooking the 18th green, lake and fountain with the option for al fresco dining on the garden patio. Portrait Lounge with it’s locally inspired artwork ideal for casual dining, pre-dinner drinks, coffee and cake with friends or that perfect Gin and Tonic. Bar Nineteen, a stylish informal sports bar, Sky and BT sports showing the sporting favourites. Large split level sun terrace accommodating outside dining and overlooking the magnificent hotel golf course. Join the Gym and fitness centre at Bicester Hotel Golf and Spa Being a member of Bicester Hotel Golf and Spa activates a wonderful array of benefits; so much more than just access to our gym. We have a busy calendar of Events which run throughout the year and as a member you are also entitled to 15% off food and drink and Beauty Treatments within the facility. Our team of professionals are on hand within our long opening hours to ensure you have the best quality assistance, encouragement and care. We offer our members regular assessments and provide detailed training plans to assist you towards your goals. Alongside the levels of service we have the Fitlinxx and MYZONE monitoring systems to ensure you maintain progress and work to the correct intensities. Depending on the type of membership you chose the potential of over 70 classes a week could be included within your package, you just simply need to book on and turn up.Membership also includes access to over 60 fitness classes per week in one of our purpose built, air conditioned fitness studios. The Forest of Wellbeing Spa offers a truly holistic approach to making you look and feel fantastic and is the perfect setting to relax and unwind. Whether you are on a spa day, a spa break or simply want to book in for a treatment, our experienced therapists will talk you through our services which can be designed to suit you. We have six luxurious treatment rooms, two pedicure rooms, a spray tanning room where we offer Vita Liberata spray tans and a dedicated nail bar area. Our Relaxation Room provides an ideal haven for resting after a treatment. Guests joining us on a spa day or spa break can enjoy full access to our health club facilities for the duration of their stay. This includes a 20 metre swimming pool that children (under 16) are permitted to use at certain times, hydrospa, spa pool, sauna, steam room, foot spas, and feature showers. We also offer a private spa garden giving guests a tranquil setting to unwind in the fresh air. Spa day or spa break guests may also want to take advantage of our fully equipped gym or join one of the many studio classes available (additional fee for classes apply) If using the swimming pool please refer to our swim timetable for open, adult only and children swimming times. Set in 134 acres of land with spectacular views, Bicester Golf Club (formerly Chesterton Golf Club) has a testing 6255 yard, par 71, 18 hole course. It boasts 11 lakes, strategically placed bunkers and undulating greens which prove a challenge to every player. A number of newly designed holes will impress returning members. In addition to the 18 hole course, Bicester Golf Club offers a driving range, putting green, chipping area and practice bunker. Set in 134 acres of beautiful Oxfordshire countryside, Bicester Hotel and Spa is the perfect setting for your special day. Every Wedding or civil partnership is different, our dedicated wedding team will be on hand to guide and advise you every step of the way. Why not tie the knot in one of our fully licensed indoor or outdoor ceremony settings. Arrive in style, by helicopter or driven up our tree lined driveway. 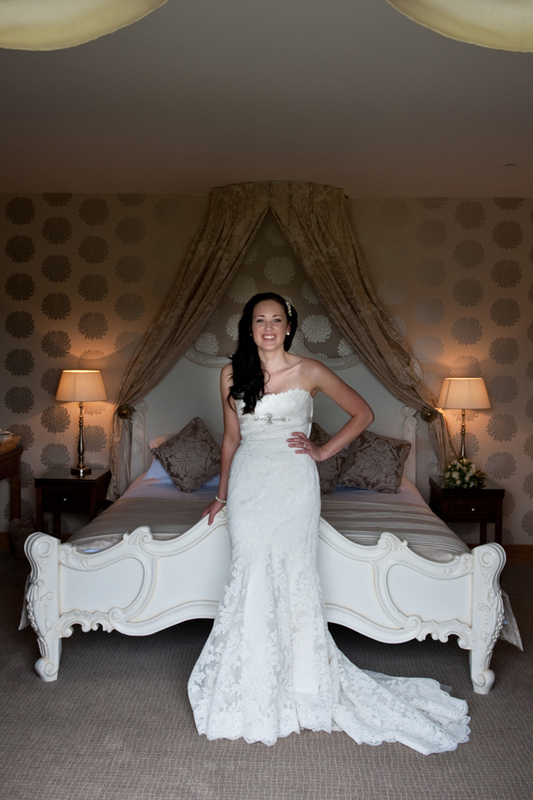 We have 52 chic spacious air conditioned bedrooms for your guests including the bridal suite. The hotel also has its own Forest of Wellbeing Spa offering a variety of treatments including pre bridal treatments and bespoke pre wedding make up packages. Fantastic Packages available from £3900, so please get in touch and arrange you appointment with our wedding co-ordinator. Great gin & tonic choices Lovely room, great spa facilities, staff friendly & accommodating. Food & wine list excellent. Chef created some excellent food for dinner, washed down with some great cocktails: mojito & LIIT perfect! Golf Club Ladies Away Break 20 ladies enjoyed 3 days of great golf. We are of handicaps from 10-38, but all enjoyed the course. Our rooms were delightful, the pool and jacuzzi great. Food and staff were excellent, and we all hope to visit again. Definitely recommend My room was spacious and comfortable. The entire hotel is clean and good looking. The staff are nice from the moment you walk in until you depart, they're having patience and they're kind. The location offers a free use of the spa facilities, the food is delicious with plenty of choices.. When you stay with us, you get access to our gym and pool facilities. Why not treat yourself and pre-book a relaxing treatment. When you stay with us, you get access to our gym and pool facilities so no need to miss your usual work out! !